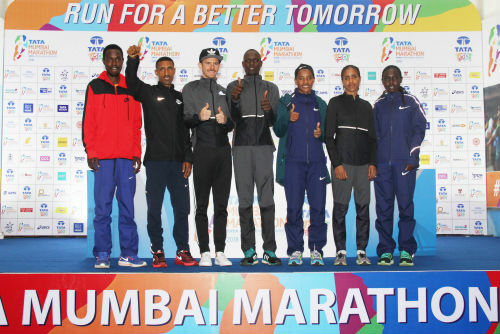 Chennai : The leading men’s contenders attending Friday’s elite athletes press conference for the Tata Mumbai Marathon 2018 were unanimous in their prediction ahead of Sunday’s big event, it could be the fastest ever race over the classic distance ever witnessed in India. “I’m in very good shape and I think I can run as fast as 2:06. A course record is possible, but I also want a personal best,” said Ethiopia’s Solomon Dekisa, the fastest man in the field.